XKonstantin is a co-founder of the RB Partners Group and has more than 25 years of experience in the banking and financial advisory sectors. 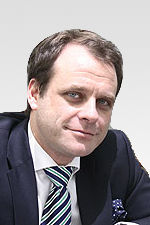 Prior to establishing RB Partners, Konstantin was Vice President of VTB Bank and Head of MIS in Alfa-Bank. 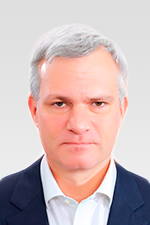 From 1996 to 2000, as a Manager at PwC (Moscow), he headed projects providing financial advisory services to large Russian and international banks and companies (Central Bank of Russia, Sberbank, MDM Bank, Chase Manhattan International, MICEX and others). Konstatin is a member of the Board of Directors in Ipoboard and a member of the Expert Board of the Moscow Exchange. Konstantin graduated with honours from the Financial Academy of the Russian Government. 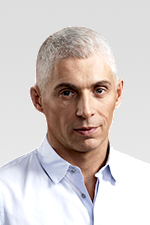 He is a Ph.D (Economics) and a visiting lecturer of the Skolkovo Moscow School of Management. 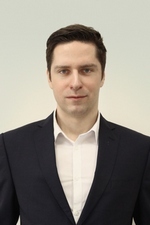 Konstantin is in charge of the general coordination of the Group’s activity. XAlexander has more than 25 years’ experience in the financial and industrial sectors. Prior to joining RB Partners, he held the positions of Deputy Director in Basic Element, Financial Director in Deutsche UFG, Member of Executive Board in Gazprom Media and leading positions in the Sputnik Group and NTV Plus. Alexander graduated from Lomonosov Moscow State University, he is a member of the Association of Chartered Certified Accountants (ACCA), Great Britain, and he has the professional qualification of Chartered Director in the field of corporate finance. Alexander is in charge of M&A projects. 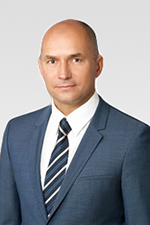 XAlexey has more than 25 years of experience in investments and financial advisory services. Prior to joining RB Partners as a Senior Partner, he was a Co-Founder and a Managing Partner of RMG Partners (2014-2016). He began his career as an economist in the State Statistical Committee of the Russian Federation in 1989. 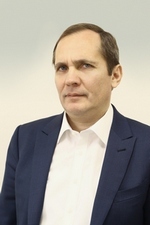 Between 1990-1991 he was the chief expert of the stock department of the first Russian stock exchange, in 1991-1992 a co-founder and director of one of the first Russian investment companies «Shares of Russia», in 1992-1994 a manager of the National Investment Fund, 1994 -2014 a Co-founder, President, Chairman of the Board of Directors in RMG Partners. Education: Financial Academy of the Russian Government, MBA Kennedy Western University, Executive MBA Skolkovo, Berkeley HAAS, Harvard Business School. YPO (Young Presidents Organization) Moscow Chapter Chair, Master of Business, EY Entrepreneur of the Year 2015. Alex is in charge of M&A transactions support. XConstantin is a co-founder of the RB Partners Group and has more than 25 years of experience in the banking and financial advisory sectors. Prior to establishing RB Partners, Constantin worked in executive positions in the Interros Group, leading Russian banks and was President of the National Registry Company, one of the largest registration companies in Russia. Constantin graduated from the Financial Academy of the Russian Government and the Moscow State University named after Lomonosov. Constantin is in charge of pre-investment preparation projects, protection of investor/creditors’ rights and venture capital projects. XAnton has more than 10 years’ experience in the field of investment banking business. Prior to joining RB Partners, he held leading positions in RB Invest, Althaus Capital and Uralsib Capital. Anton graduated from Higher School of Economics with master’s degree in Economics. Anton is in charge of M&A projects. XArseniy has more than 20 years of experience in sales, marketing and finance. Prior to joining RB Partners as a Partner, a Co-Founder and a Managing Partner of RMG Partners (2014-2016). He began his career in IT sector in 3M Co. in 1995. 1997-2003 worked in sales & marketing in various tech companies Duracell, Digitex Europe, etc. In 2005-2010, a Co-Founder and Managing Partner of invest boutique Gurus Capital, focused on M&A cross border transactions in MidCap. 2010-2014 worked in investment bank RMG, Corporate Finance Director and Head of investments. Education: RUDN University, MBA California State University, Skolkovo PE/VC. Investor & board member of several tech startups. 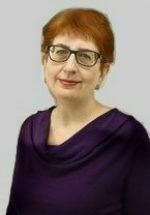 Board member and Head of VC Committee of National Alternative Investments Managers Association (www.naima-russia.org). 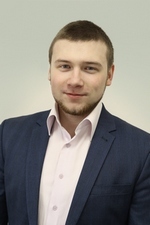 Arseniy is in charge of transaction support with hi-tech companies and VC market analysis. 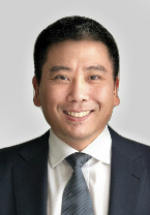 XYoshihiko brings over 15 years of experience in asset management, corporate finance and business development. Yoshihiko has led numerous cross-border M&A and capital market transactions throughout Europe, Middle East and Southeast Asia involving multinational conglomerates and SWF’s. Yoshihiko serves on the board of directors and as executive director in several companies of European and Middle East family offices. XTsumutoku has more than 30 years of experience in the financial and automotive sectors, through working in Japan, Russia, the UK and Poland. 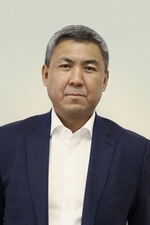 Prior to joining RB Partners, Tsumutoku was the General Secretary of the Japan Business Club in Moscow, providing support to the largest Japanese companies in developing their operations across Russia. 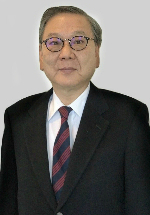 Tsumutoku spent the majority of his career in executive positions at the Mitsubishi Corporation where among other positions he served as President of MMC Car Poland and Vice Chairman of Carnet 2000 (Russian JV between Rolf Group and Mitsubishi Corporation). Tsumutoku graduated with a Masters degree from Columbia University’s (USA) School of International Affairs and a Bachelors degree in Engineering from Osaka University (Japan). XGalina has significant experience in MIS implementation and corporate management. Before joining RB Partners Galina was a Head of Planning and Reporting at Alfa-Bank. Galina graduated from the Plekhanov Russian University of Economics. Galina is in charge of the Company’s corporate management. 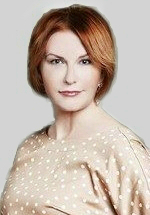 XNatalia has more than 20 years of experience in finance and banking. She started her career in PwC in 1995, where she was in charge of preparation of financial statements under IFRS, as well as the auditing of Russian commercial banks and mutual investment funds. Later, Natalia held senior positions in Sberbank, MDM Bank, Promsvyazbank, where she was responsible for preparation of financial statements under IFRS, cooperation with rating agencies and improvement of operating efficiency of banks and subsidiaries. Natalia graduated with honors from Belarus State Economic University. She is a member of the Association of Chartered Accountants (ACCA), Great Britain. She completed the Leadership & Strategic Marketing program at the University of Chicago-Booth School of Business. Natalia is in charge of financial operations of the RB Partners Group and development of the trading line of business — RB Trading Company. 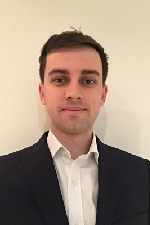 XKieran has 4 years of experience in financial advisory and investment banking. Prior to joining RB Partners, Kieran worked as an Associate at Silverpeak, a London (UK) based investment bank focused on the TMT sector. During this time, he worked with companies across Western Europe to execute M&A and venture capital fundraising processes, with personal responsibility for the preparation of marketing materials, building financial models, managing interactions with potential buyers and investors, as well as coordinating due diligence and legal documentation. Kieran graduated from the University of Cambridge (UK) with a Masters degree in Economics. He is also a holder of the Chartered Financial Analyst (CFA) qualification. XDenis has over 6 years of investment experience. Before joining RB Partners, Denis worked at RB Invest (investment company with focus on RE&IT), Klesch Group (Swiss investment group) and Global Finance (M&A advisory) where he was in charge of building financial models, deals structuring and execution management. Denis has BSc in Commerce degree and MSc in Management degree, Moscow State University of International Relations. XPrior to joining RB Partners Nikita worked as an investment analyst for RMG Partners and GK Capital Partners, where he participated in M&A transactions in the following sectors: FMCG, TMT, manufacturing and real-estate. Previously Nikita was a part of international companies such as General Electric, Japan Tabacco International and Citibank. 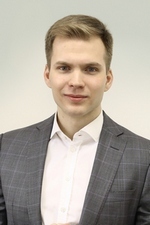 Nikita holds a specialist degree in taxation from Plekhanov’s Russian University of Economics. XRavil has over 4 years of investment experience. Prior to joining RB Partners, Ravil worked at investment fund RB Invest where he was in charge of investment analysis of the companies, preparation of investment materials and execution management in the sectors: Real Estate, Retail, TMT, Manufacturing. 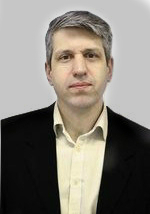 Ravil holds a specialist degree in Mathematical methods in economics from The State University of Management. 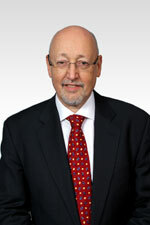 XStephen has more than 40 years of experience in the financial advisory sector. His career includes projects for the World Bank, the International Monetary Fund and the European Bank for Reconstruction and Development. Prior to establishing the RB Partners Group, Stephen was a Senior Partner at EY (UK). In the mid 90s, while at EY, he organized an international group providing corporate finance services to financial institutions operating in the emerging markets. Stephen graduated with honours from Leeds University (UK) and is a Fellow of the Institute of Chartered Accountants in England & Wales. XIgor has many years of experience in marketing, communications and VC. He worked as one of the leaders of The Untitled – Venture capital investment fund investing in IT sector across the world. Prior to that, he headed in the leading international advertising agency BBDO from 1989 to 2013. Under his leadership the agency with 7 employees became a group of 12 companies with more than 700 employees and now provides to its clients full range of communication services, such as creative ideas, media, strategic and brand consulting, digital, design and PR. 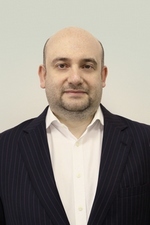 XSergey has more than 20 years experience in Investment Banking and Asset Management. He was Office Head, Managing Director at Standard & Poor’s (Russia and CIS). Sergey was a member of BoD in numerous financial and non-financial institutions. Besides these positions, Sergey was Equity Fund Manager at PE arm of the leading Russian Investment Bank – Renaissance Capital, where he was responsible for fundraising, origination, execution and management of private equity investments. Prior to that, he worked at EBRD as Senior Banker. He started his career at PwC and managed Audit services for financial institutions. XMaxim is a banker with over 20 years of experience in direct investments, M&A, capital markets and financing transactions. Over the years Maxim focused on cross-border transactions and clients in Emerging Markets in Central and Eastern Europe, Russia, Israel, Singapore, Japan and China. Maxim has held executive positions at Haitong Securities, STJ Advisors, Nomura and Daiwa-SMBC. 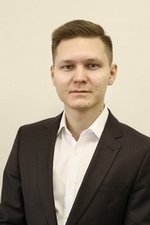 Maxim has started his banking career at the treasury of the Bank of Montreal in Toronto and later moved to EBRD in London working with clients in the Financial Institutions Group. Maxim is a CFA Charter Holder and has an MBA degree from the Schulich Business School (Toronto, Canada). 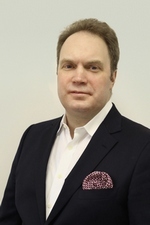 XStephen has over 20 years’ experience as general counsel, legal advisor, director and project manager at corporates, funds and law firms including Deutsche Bank (UFG), Integra Group, Clifford Chance, Damac Properties and several funds while being based in New York, Moscow and Dubai. His experience has been very diverse across sectors and territories including joint ventures and M&A, capital markets, debt and equity financing, infrastructure and funds. He has served on the boards of listed entities as well as several funds. Stephen graduated Georgetown University Law School and is a member of the New York Bar.